South Africa is a country that is home to many wealthy individuals. Interestingly, the second richest man in Africa is a South African. In this post, we’ll take a look at the 10 richest individuals in the country. Nicholas F. Oppenheimer was born on the 8th of June 1945. He is known to be the current richest South African and second richest man in Africa after Aliko Dangote. He is a billionaire businessman and philanthropist. He was the former chairman of De Beers diamond mining company and also of its subsidiary, the Diamond Trading Company, and he was also the former deputy chairman of Anglo American. His main origin of wealth is Diamonds. According to the recently released Forbes list, Nicholas F. Oppenheimer currently has a net worth of over $7 billion thereby making him the second richest man in Africa and 199th richest man in the world. 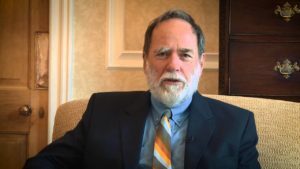 As a philanthropist, Nicky Oppenheimer and his son Jonathan Oppenheimer established the Brenthurst Foundation in 2005 as a way to contribute to the debate around strategies and policies for strengthening Africa’s economic performance and enabling inclusive and sustainable development. Nicholas Oppenheimer got married to Orcillia “Strilli” Lasch, daughter of industrial tycoon Helli Lasch in 1968. 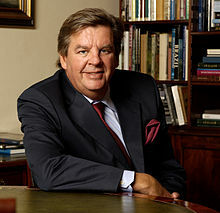 Johann Rupert who is a South African-born entrepreneur and the eldest son of business tycoon Anton Rupert was born on the 1st of June 1950. 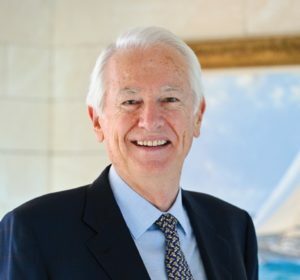 He is the current chairman of Swiss luxury-goods company Richemont which is known for brands Cartier and Montblanc and he is also the chairman of South Africa-based company Remgro. By 2010, he was appointed Chief Executive Officer of Compagnie Financiere Richemont. According to the Forbes billionaire list of 2018, Johann Rupert has a net worth of $7.2 billion thereby making him the 3rd richest man in Africa and also the 228th richest man in the world. He also owns part of the Saracens English rugby team and Anthonij Rupert Wines, named after his deceased brother. He is married to Gaynor Rupert and they both have 3 children. 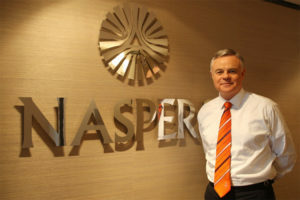 Jacobus Petrus “Koos Bekker” who was born on the 14th December 1952 is the current chairman of the leading emerging markets media group Naspers. The company currently operates in 130 countries and is listed on the London and Johannesburg Stock Exchanges, and also has the largest market capitalization of any media company outside the US and China. He holds degrees from Stellenbosch University in Law and Literature and Wits University in Law. 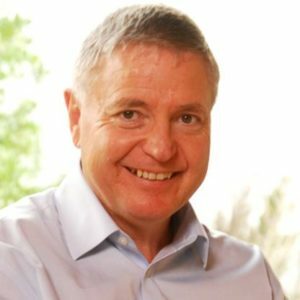 According to the Forbes billionaire list of 2018, Koos Bekker has a net worth of $2.8 billion thereby making him the 8th richest man in Africa and also the 924th richest man in the world. His major source of wealth is Media, Investments and Self Made Wealth. His Babylonstoren estate, nearly 600 acres in South Africa’s Western Cape region, features architecture dating back to 1690, a farm, orchard and vineyard and more. He is married to Karen Roos and they have 4 children together. Christoffel F. Hendrik Wiese who was born on the 10th September 1941 is a South African businessman and billionaire. His major source of wealth according to Forbes is consumer retail. Wiese received BA and LLB degrees from the Stellenbosch University. He practiced law at the Cape Bar before working as a Director at Pepkor. He owns 18% of publicly-traded Shoprite Holdings, which has supermarkets and furniture stores in 15 countries across Africa. 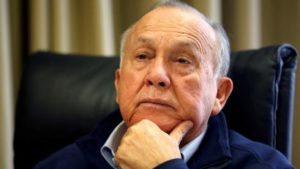 His other assets include stakes in private equity firm Brait, industrial products company Invicta Holdings and mining-sector investor Pallinghurst. According to Forbes Billionaires list of 2018, he has a net worth of $1.1 Billion making him the 21st richest man in Africa and the 269th (as of 2017) in the world. Patrice Tlhopane Motsepe who was born on the 28th of January 1962 is a South African billionaire mining businessman. He is the founder and executive chairman of African Rainbow Minerals, which focuses on gold, ferrous metals, base metals, and platinum and he became a billionaire in the year 2008. He was once known in 2012 to be the richest man in South Africa with an estimated fortune of $2.5 billion. In 2003, he acquired top South African football club giant Mamelodi Sundowns. He holds a Bachelor of Arts degree from the University of Swaziland and a law degree from the University of the Witwatersrand. 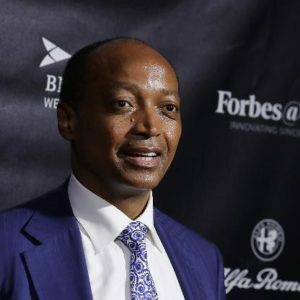 According to the Forbes Billionaire list of 2018, Patrice Motsepe has a net worth of $2.4 Billion thereby making him the 11th richest man in Africa and the 1020th richest man in the world. He is married to Precious Moloi and together, they both have 3 children. 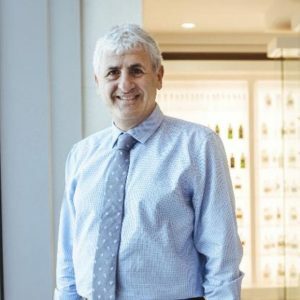 Stephen Bradley Saad who was born the sixth month of 1964 is a South African billionaire businessman, founder, and chief executive of Aspen Pharmacare which is considered to be the largest producer of generic medicines in Africa. He became a millionaire at age 29 when he sold his share in the drug business Covan Zurich for $3 million. He holds a Bachelor of Arts/Science degree from the University of KwaZulu-Natal. In 2012, Stephen Saad became chairman of The Sharks, a well known Durban rugby team. According to Forbes billionaires list of 2018, Stephen Saad has a net worth of $1.2 Billion making him the 19th richest man in Africa and the 1867th richest man in the world. He is married with 4 children. Michiel Le Roux served as chairman of the board of Capitec from the year 2007 to 2016 and has continued on as a board member. He also previously ran Boland Bank which is a small regional bank in Cape Town’s hinterland. According to Forbes billionaires list of 2018, Michiel Le Roux has a net worth of $1.2 Billion making him also the 19th richest man in Africa and the 1867th richest man in the world. 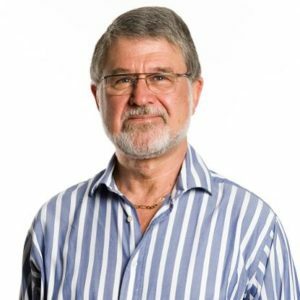 Johannes “Jannie” Mouton who was born in the year 1946 is a South African billionaire businessman, founder, and chairman of PSG Group. He has a bachelor’s degree from Stellenbosch University and is a qualified chartered accountant. Before Mouton founded PSG Group, he was fired as managing partner by stockbrokers Senekal, Mouton & Kitshoff, a firm he co-founded. He has a net worth of $1.3 billion (as of May 2017). He is married and has 3 children. Lauritz Laurie Dippenaar who was born on the 25th of October 1948 is a self-made millionaire businessman, investor & banker. 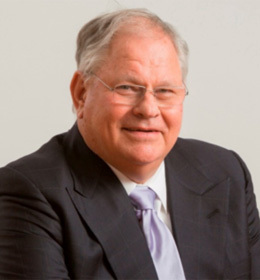 He co-founded FirstRand Limited in 1977 with GT Ferreira – one of the four South African high street banks. His net worth is $650 million. Dippenaar is a graduate of Pretoria University with a Master of Commerce and is also a qualified Chartered Accountant. He currently serves the FirstRand Group in a non-executive capacity and is also Chairman of Discovery, Momentum, and OUTsurance. He has a net worth of $650 million. I’m in need of a donation, I’m stuck in debts and I can’t do anything. Any amount please that you can assist me with. I’m willing to open an instrumentation and control company but desparetly in need of funding .I’m currently working for Toyota SA as an electronic equipment mechanician . I am also on my way to get there I`ve just started very small in properties. Hard work pays. I know. The problem is most of us start very late. `am just working for social housing and doing hard well. ‘am gonna be there one day also.